“Entrepreneurs create enterprises because they are attracted to create something that they believe in,” said investor, philanthropist and chairman Emeritus of Tata Group, Ratan Naval Tata. Tata is known for his business and the investments which he makes to encourage entrepreneurship. Being a famous business tycoon and a person known for his principles and humanity, Ratan Tata has always motivated aspiring entrepreneurs to think differently and to think about what they can do for the country, rather than what the country can do for them. His achievements go far and wide. 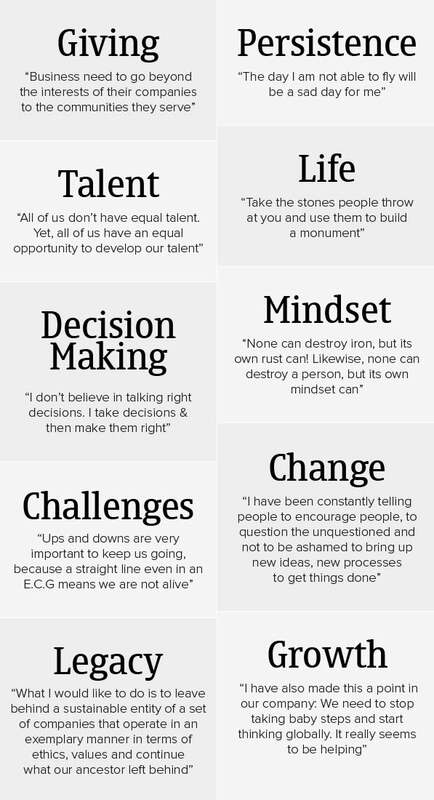 Entrepreneur India has compiled some of his best quotes which inspire founders to work in a smarter way to achieve their goal or ambition. So whenever to get demotivated or feel like taking a reverse gear, just go through these blazing quotes to re-energise you and change your life.